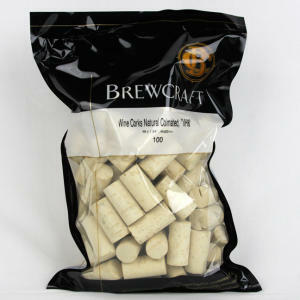 Wine Corks - Natural Colmated #8 "VH8" - 100 ct - F.H. Steinbart Co. Description: One of the most popular corks, the Colmated (Bellcork) is recommended for medium term storage – 2 years or less.